A quick google search, and you'll see that the name has left many knitters and crocheters wondering for years the origins of the Koigu name and how it is pronounced. It is probably our most asked question when meeting people for the first time. When most people first read the name Koigu, they believe it to be of Japanese origin, and are surprised to learn that it is Estonian. When first moving to the Koigu farm in Ontario in 1972, co-owner, Maie Landra, believed it only fitting that the farm be named Koigu. This was the name of her husband Harry Landra’s ancestral home in Estonia. Koigu in Estonia is now the name of a village in Valga County, Southern Estonia in Northern Europe. But during Harry’s childhood, it was a farm which spanned many hectares. The new farm in southwestern Ontario was named in honour of the farm, to continue its legacy in Canada. 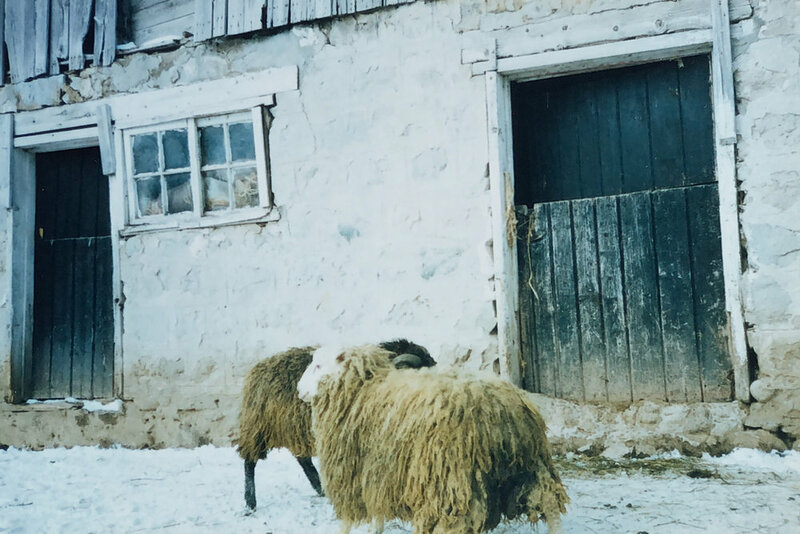 Since Koigu yarn first began on the farm in Chatsworth, Ontario, with a few sheep and Maie’s artistic passion, it only appeared fitting that they continue the name of the farm onto the business. Koi (like the fish) - goo.